Between Rapallo and Chiavari, along one of the most spectacular stretches of the Ligurian coastline, close to the most famous resorts of the Italian Riviera, Zoagli offers its simple elegance. 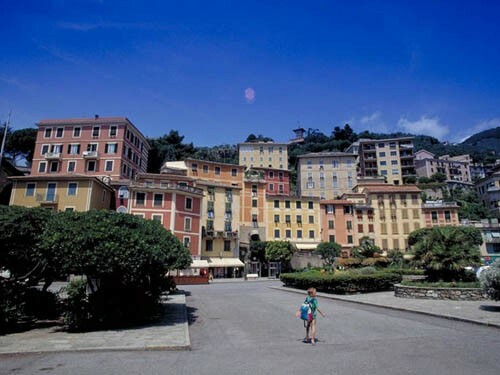 A small group of colourful houses gathered around the nice square, dominated by the big railroad bridge and located in front of the beach from where two beautiful walks draw a path above the cliffs, overlooking the entire Tigullio Gulf. Zoagli is a quiet place, whose inhabitants were for centuries seamen who sailed the seas for trade and fishing, farmers, who cultivated olive trees on narrow terraces stolen from the hill, and able weavers, who created precious velvets and damasks. The coat of arms of the city represents two towers, built in the sixteenth century to defend the village from the terrible raids of the Saracens, placed on a yellow and blue background, the colors of the main fraternities of the place: the blue representing the navy and the yellow the weavers. Indeed here the art of weaving has ancient origins. The production in Riviera started in 16th century, when it began a fervent collaboration with Genoese silk manufacturers carrying to Zoagli raw silk and withdrawing precious paintings. 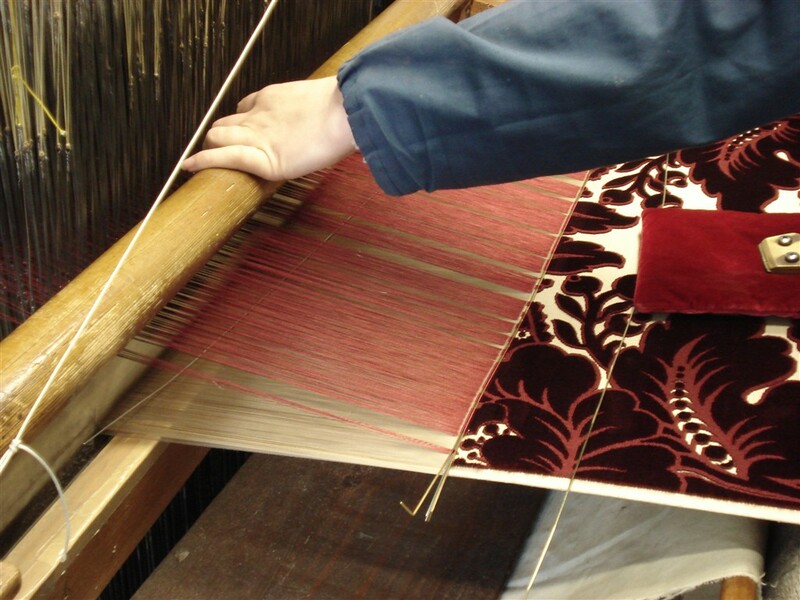 Zoagli became one of the largest producers of silk and velvet in the world, along with Genoa, until the beginning of nineteenth century, when more than one thousand looms were counted in the village. After a decline in the second part of 19th century, due to growth of competition and industrialization, some local craftsmen began to reconstruct in the territory a niche production that is active until today. They still produce, according to ancient tradition, silks and velvets of great value, that can be discovered during a fascinating excursion. For groups of at least four persons we can arrange, from Monday to Friday, personalized tours to the silk factory, with the possibility of visiting the ancient looms, shopping at the nice show room and tasting typical products of the area.